The dwindling in the global oil price has prompted government at the federal and state levels to shift their attention back to agriculture which used to contribute greater percentage to Nigeria's GDP prior to discovery of crude oil. 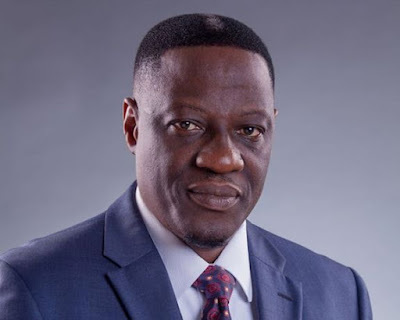 To this end, kwara state government under the leadership of Governor AbdulFatah Ahmed has introduced policies that makes agricultural activities in the state appealing and rewarding for farmers including youths. Thousands of youth are now actively involve in commercial agricultural activities due to conducive environment and support provided by the government. In 2017, Kwara State Government launched the Off-Takers Demand Driven Agriculture (ODDA) Scheme aimed at entrenching farmers’ attitudinal change towards the state’s agriculture sector, over the years. ODDA scheme according to the governor Ahmed has been directly linked with commercial agriculture and formulated to drive employment, boost food production, and diversify the state’s economy by matching farmers with Off-Takers. He further stated that Off-takers Demand Driven Agriculture (ODDA) scheme ODDA is designed to build an agribusiness ecosystem that will reduce food importation, enhance foreign exchange, and more importantly create sustainable livelihoods for our people, especially youths and women. The state government through the Ministry of Agriculture under the ODDA scheme allocated 2550 hectares of located in farm estates situated in Oke oyi, Baala and other selected villages across the state to over 3000 farmers and also facilitated low interest loan for them. This programme led to tremendous increase in production outputs of farmers while over 1000 young Agricpreneurs emerged from the scheme and the state government has pledged to do more during this farming season. Apart from that 1,250 local farmers in Kwara state also benefit from the N1 billion loan in the first phase of Kwara/Central Bank of Nigeria 2018 anchor borrowers' programme (ABP). The new initiative by the state government to obtain N1billion loan from the CBN through the ABP platform to drive its initiatives in agriculture was to further empower local farmers in production of rice, maize, soybeans and cassava. A breakdown of beneficiaries by the state commissioner for Agriculture, Mr. Adegoke Bamidele indicated that the programme would involve 500 maize farmers, 350 soybeans farmers, 150 rice farmers and 250 cassava farmers. Adegoke said: "The programme thrust of the ABP is the provision of farm inputs in kind and cash (for farm labour) to small holder farmers to boost production of these commodities, stabilize inputs supply to agro processors and address the country's negative balance of payments on food." Similarly, Governor Ahmed's administration has commenced process of engaging 10,000 youths through its agricultural empowerment scheme designed to boost agriculture.The Kwara State Government made about 13,000 hectares of farmland available for unemployed youths to engage in commercial agriculture. The state is actually using the ODDA scheme lure more people in agriculture due to availability of ready markets for their farm produce, thereby eliminating cost of storage and preventing post-harvest losses. The state government does this by getting buyers for the farmers through agricultural produce marketing board. Besides, kwara state government despite financial challenges in the country continue to assist farmers by making fertilizers and other farm supplements available at subsidized rates. Unsurprisingly, the state Agro Mall in Ilorin has turned to Safe Haven for farmers across the 16 local government areas of the state. Additionally, the Federal Ministry of Agriculture and Rural Development in partnership with the state had constituted a technical team to liaise with some Chinese manufacturers of agricultural machineries on the kinds of equipment that would be suitable for the AADS project. Therefore, it's apt to say the programmes and policies of incumbent administration in Kwara state are ways of harnessing agrarian nature of the state to boost its economic through consistent bumper agricultural harvest every farming season.